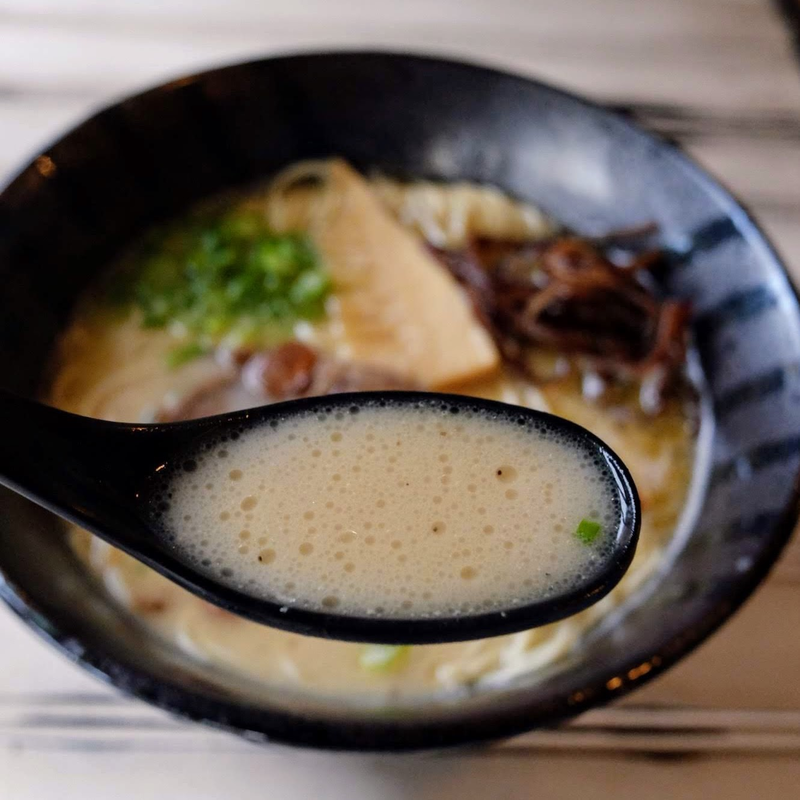 Za-Ya Ramen opened in April 2017 to showcase gyukotsu, a beef bone marrow broth created by chef-owner Iveelt Bayart. Iveelt, originally from Mongolia, always felt that he could use beef bones to create a ramen as unctuous and rich as pork based tonkotsu, the default base of most other shops in New York City. Gyukotsu, however, is lighter than tonkotsu and doesn't weigh you down. People who try Za-Ya Ramen's gyukotsu ramen, for the first time, always come back wanting more. Along with our beef based broth, we also serve the traditional chicken broth known as torigara. Based on this broth, we make classic Tokyo style shoyu and shio ramen as well as miso ramen. All our noodles come freshly made from the renowned Sun Noodle Company. To complement our food, we offer a carefully selected drinks menu. We carry craft beer from our neighbor, Other Half Brewing Company along with Japanese brews and have a varied and extensive selection of sake and a small hand-picked selection of wine. All our sakes are offered by the glass, so you can taste different styles without having to invest in a bottle. 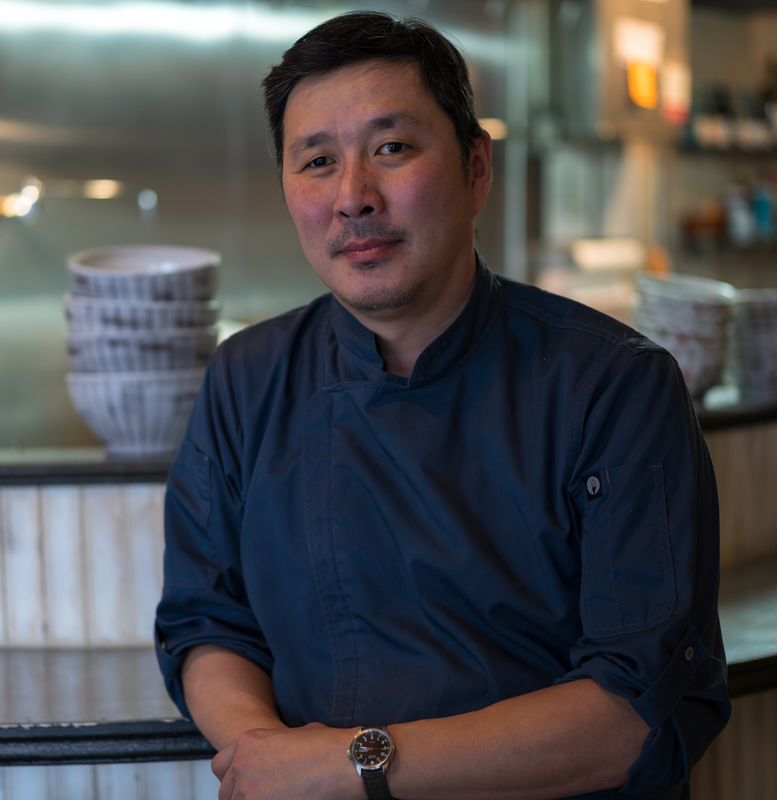 Chef-owner Iveelt Bayart is from Mongolia but grew up living around the world and moved to New York City in October of 1999. He worked in the restaurant industry ever since and has held front of the house positions at some of the best restaurants in the city including managing for Jean-Georges Vongerichten’s wildly successful Spice Market, Gray Kunz’s Café Gray and serving as a General Manager for 3 restaurants helmed by chef Tadashi Ono, among others. 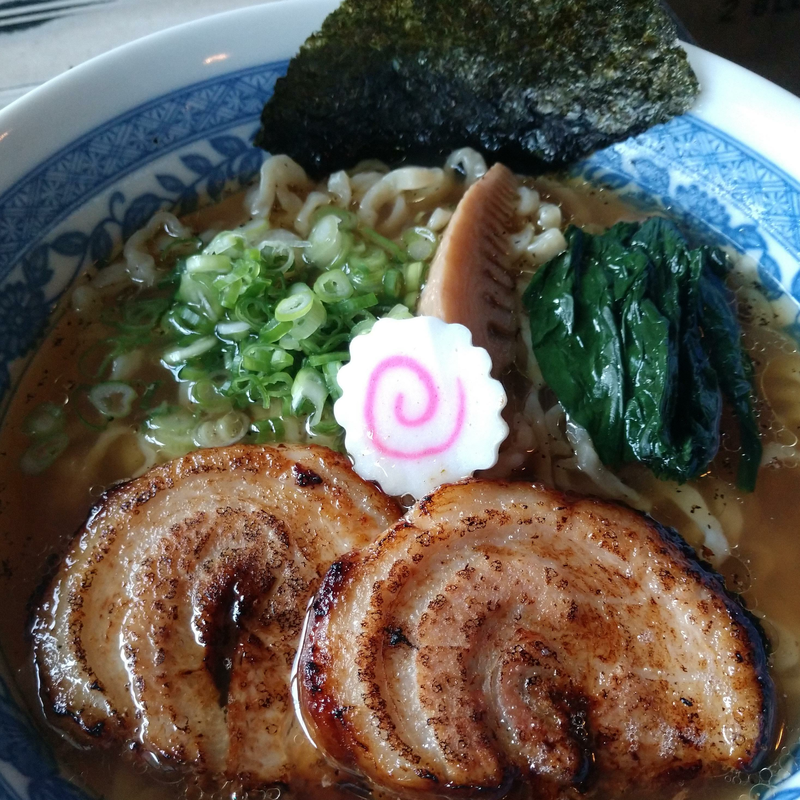 Za-Ya Ramen is a laid back neighborhood restaurant that calls Carroll Gardens, Brooklyn its home. We are looking forward to welcoming you at Za-Ya Ramen! Marinated mushrooms, chives, grated daikon. Braised spicy lotus root and burdock. Arugula, avocado, cucumber, tomatoes, homemade sesame dressing. Boneless fried chicken, spicy mayo. Raw sashimi tuna, sweet onions, scallions, soy dressing. Braised pork belly, house teriyaki, kinpira, ajitama. Chicken broth, sea salt, chicken breast, spinach, naruto and nori. Chicken broth, miso, pork belly, corn, naruto and nori. Chicken breast, teriyaki sauce, cherry tomatoes, sweet corn over rice. Beef bone marrow broth, sea salt tare, beef tongue, sweet onions, bamboo shoots, garlic chips and scallions. Beef bone marrow broth, soy sauce tare, braised beef, scallions, sweet onions, bamboo shoots, garlic chips and cilantro. Beef bone marrow broth, spicy ground beef, bean sprouts, pickled ginger and scallions. Beef bone marrow broth, spicy miso tare, braised beef, enoki mushrooms, corn and scallions. Chicken broth, sea salt tare, chicken breast, spinach, bamboo shoots and scallions. Chicken broth, soy sauce tare, pork belly, spinach, bamboo shoots and scallions. Chicken broth, miso tare, pork belly, sweet corn, shiitake mushrooms and scallions. Chicken broth, spicy anchovy tare, miso mackerel, scallions, naruto and nori. Vegetable broth, miso tare, sweet corn, shiitake mushrooms, scallions, cucumbers, lotus root chips. Lager, 12oz can, 4.9%. The classic Japanese Lager. Pilsner, 12oz can, 5.5%. Floral nose, slightly sweet with a dry finish. American Pale Ale, 12oz can, 6.3%. Bold, full bodied, well balanced. Ale, 12oz can, 5%. A unique brew of juicy, sweet goodness. 16oz can. Rotating selection. Ask your server. Domaine de la Chezatte, Sancerre Blanc. Crisp, dry and elegant..
Fuenteseca, Utiel-Raquena, Bobal - Cabernet Sauvignon. Refreshingly fruity. Semaphore 7, Alentejo, Portugal. Red, blend of Alicante Bouschet, Tinto Aragones and Trincadeira. Medium bodied, easy going. Junmai Ginjo, Fukuoka, Japan. Robust, rice-forward, crisp and refreshingly dry. Junmai, Ishikawa, Japan. Pairs well with hearty food, full-bodied and smooth. Junmai, Hyogo, Japan. Aromatic, light-bodied and exceedingly dry finish. 300ml bottle. Junmai Ginjo, Niigata, Japan. Sharp, dry and smooth. This sake finishes slightly salty. 300ml bottle. Nigori, Gifu, Japan. This cloudy sake is mellow, rich and finishes slightly sweet. 300ml bottle. Daiginjo. Iwate, Japan. Floral, elegant, exceptionally clean taste. 300ml bottle. Junmai Daiginjo, Yamaguchi, Japan. Well balanced, great acidity, fruity on the palate and nose. 300ml bottle. Yamahai Junmai, Fukushima, Japan. 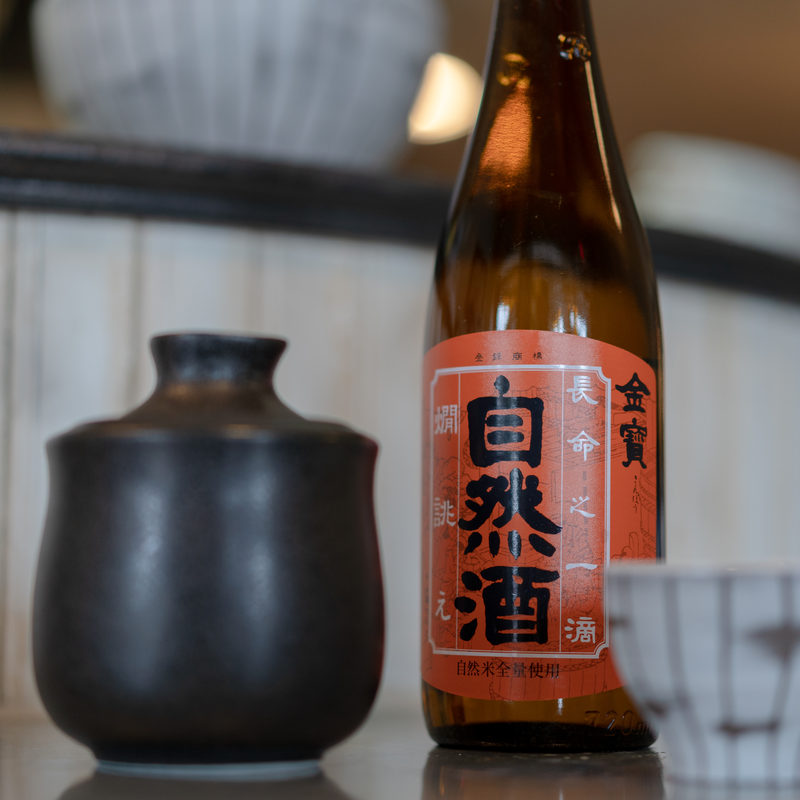 Bold and rich, this sake was brewed specifically to be served hot.